VICTORIA, BC – Following a big season in the pool last year, the Canadian Sport Institute Pacific (CSI Pacific) Swimming NextGen Program has started the selection process for the 2016-17 season. The Swimming NextGen program supports the implementation of Swimming Canada’s high performance development system in B.C. and ensures a progressive stream of athletes and coaches are being trained to the standards required to win Olympic, and World Championship medals. The program is provided in partnership between Own The Podium, Swimming Canada, Swim BC, the Province of British Columbia, and the CSI Pacific. Through the support of program partners, selected athletes are provided with access to a world-class training environment and support services, including biomechanics, nutrition, physiology, psychology, sports medicine, and strength and conditioning. Athletes selected to the Swimming NextGen program will swim within the Swimming Canada High Performance Centre – Victoria, one of three High Performance Centres in Canada. The 2016-17 program will be led by the CSI Pacific Swimming NextGen Coach Brad Dingey along with support from Swimming Canada High Performance Centre – Victoria Head Coach Ryan Mallette. All swimmers in the Swimming NextGen program will also continue to represent their club team. Members of the 2015-16 Swimming NextGen Program excelled last season, qualifying for marquee international competitions. In April at the Olympic Trials in Toronto, Ontario, Sarah Darcel and Josh Zakayla qualified for the 2016 Junior Pan Pacific Swimming Championships. 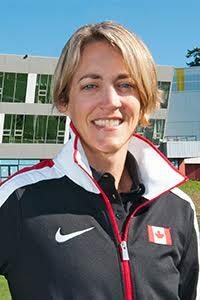 Dingey will accompany them as a member of the Swimming Canada coaching staff at the Junior Pan Pacific Swimming Championships, which will take place from August 24-27 in Maui, Hawaii. Also at the Olympic Trials, Peter Brothers qualified for the 2016 FINA World Short Course Swimming Championships, hosted in Windsor, Ontario, from December 6-11, 2016. A member of the Swimming NextGen program since 2012, Brothers’ trip to the Short Course world championships will mark his first stint on the senior national team. Swimmers wishing to apply to the 2016-17 Swimming NextGen program should contact CSI Pacific Talent Development Director Kurt Innes at kinnes@csipacific.ca. The deadline for application is August 10, 2016. For more information, visit csipacific.ca/programs/nextgen/swimming-nextgen/ or contact Swimming NextGen Coach Brad Dingey at bdingey@csipacific.ca.